If you will be given a shopping basket to fill and a maximum of P25,000 budget, what will you grab off the shelf first? Will you stock up on new wardrobe pieces? Perhaps you’ll fill it to the brim with electronics? Home Credit Philippines, the leading consumer financing company in the country has just made this too-good-to-be-true scenario a reality with its launch of Hulog-gaan, their first ever bundle financing product that lets consumers buy a number of lower-priced items in bulk, and pay for them through affordable installments. The company’s newest installment package allows financing of commodities that Home Credit didn’t previously finance. Some of the commodities that can be covered by Hulog-gaan are clothing, bags and accessories, toys, and electronics. These items are on top of the commodities that Home Credit already finances like smartphones, tablets, home appliances, and sporting goods. 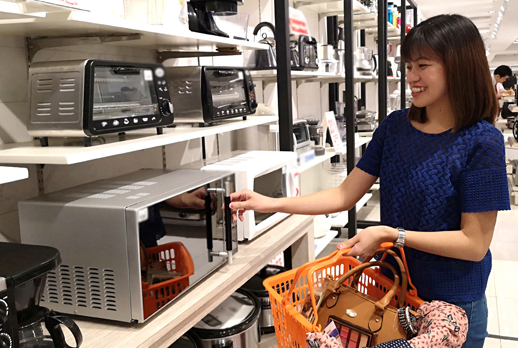 Using the Hulog-gaan installment product, shoppers can now buy any of the covered items as long as they fit the P25,000 maximum price for the bundle. Customers can choose between P3,000 to P20,000 financed amount which they can pay for nine to 12 months. Home Credit’s Hulog-gaan can be applied to their Standard, Easy Plan, Flex10, and Gift Payment loans. Shoppers can include in their bundle a maximum of five product entries, with multiple items under one category counted as one bundle entry as long as it fits the P5,000 maximum amount per entry. Exceptions on categories covered by Hulog-gaan are jewelry and watches and smartphones and tablets. This isn’t actually the first time that Home Credit has offered bundling installment plans. The market leader also has a regular bundling plan for those who want to buy higher-priced items in a package.